The Institute for Justice and Reconciliation [IJR], the Dullah Omar Institute [DOI], the Public Service Accountability Monitor [PSAM}, the Parliamentary Monitoring Group [PMG] and a growing number of civil society organisations have noted with serious concern the recent Protest Suicide of Lennox Mzuhleli Garane, Section Manager: Multilateral Relations in International Relations and Protocol Division of Parliament of the Republic of South Africa. 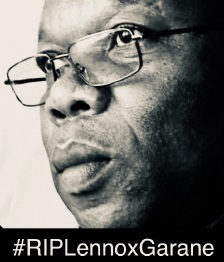 Mr. Garane died by Protest Suicide in his office on the Parliament Precinct on 14 September 2018. We wish to extend our sincere condolences to the Garane family for their tragic loss. Lennox Garane, a senior public sector manager, spent 30 years working in developmental organisations, including Kagiso Trust, the National Development Agency, the Development Bank of South Africa, and the Parliament of RSA. Lennox Garane’s final wish was to draw attention to the systemic abuse of power within the Parliament Administration, and its devastating consequences for the institution and South Africa. “My father told us that the whole system in our Parliament is broken. And he was despondent and did not believe that there is any will by ALL charged with responsibility to change the situation. Rather, maintaining this situation was to their benefit because it kept them powerful. My father’s death should be seen exactly as he said it was – A PROTEST SUICIDE. Certainly not a protest against contract nonrenewal but a protest against the politicization of the administration, gross abuse of power and a complete disregard of human rights and dignity”. Sithembiso Garane, eldest son of Lennox Garane on behalf of the Garane Family. We have received an open letter of support and a briefing from a collective of former managers of the Administration of the Parliament who are united in expressing support to the family of Lennox Garane and are willing to testify to their direct experience of the toxic workplace environment in the Parliament Administration during the 5th Democratic Parliament. Their collective experience, together with the substantial evidence of abuse of power outlined in Parliament’s Independent Audit report of 2017, which is a matter of public and court record, points to a systemic problem. The Public Service Commission report on the circumstances leading up to Mr. Garane’s death to be made public. The Executive Authority, the Secretaries to Parliament and the senior managers, where found to be responsible for abuse of power within the Administration, to be held to account. An urgent legislative and institutional review of oversight and accountability statutes and mechanisms for the Parliament Administration as a priority for the 6th Democratic Parliament. The IJR and DOI will be convening an urgent Forum on Accountability of the Parliament Administration [FAPA] for civil society and the media on 22 January at the offices of the Institute for Justice and Reconciliation to develop a civil society approach to Parliament Administration Accountability. The 5th Democratic Parliament is coming to an end within the next three months. The 6th Democratic Parliament will be installed by June 2019. The legacy to be bequeathed to the new Parliament is tainted by a decade of State Capture. To make sure that the same issues that bedeviled the 5th Democratic Parliament are addressed in as a priority of the 6th Democratic Parliament we intend to prepare a civil society report on the issues raised in the forum. We hope to be joined by a broad coalition of CSO and stakeholders in this important national quest to fix our Parliament. The preamble to the Constitution is the founding vision of the Democratic South Africa. We, the people of South Africa, Recognise the injustices of our past; Honour those who suffered for justice and freedom in our land; Respect those who have worked to build and develop our country; and Believe that South Africa belongs to all who live in it, united in our diversity. We therefore, through our freely elected representatives, adopt this Constitution as the supreme law of the Republic so as to- Heal the divisions of the past and establish a society based on democratic values, social justice and fundamental human rights; Lay the foundations for a democratic and open society in which government is based on the will of the people and every citizen is equally protected by law; Improve the quality of life of all citizens and free the potential of each person; and Build a united and democratic South Africa able to take its rightful place as a sovereign state in the family of nations. Nkosi Sikelel’ iAfrika. Morena boloka setjhaba sa heso. God seën Suid-Afrika. God bless South Africa. Mudzimu fhatutshedza Afurika. Hosi katekisa Afrika. A press conference will be held at 16:00 where the spokespersons of the convening organisations,representatives of the Garane Family and former Managers of Parliament will take questions on the record.